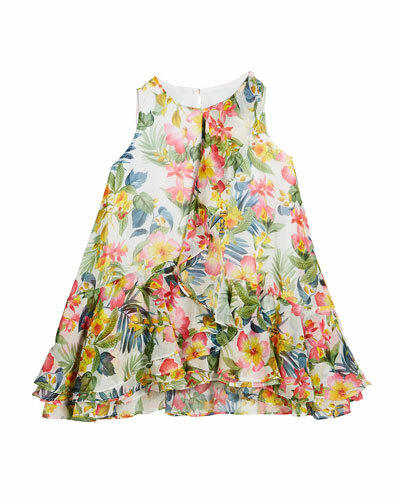 Update your little one’s wardrobe with a great selection of girls’ dresses available at Neiman Marcus. 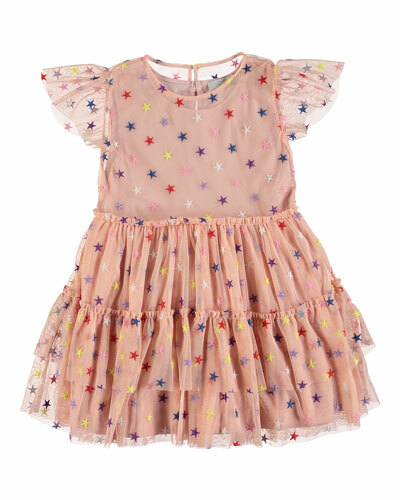 Our collection of girls’ designer dresses include ready-to-wear outfits in pretty prints. Explore a world of vibrant colors, plush fabrics, and modern styles that are synchronous with the latest fashion trends. 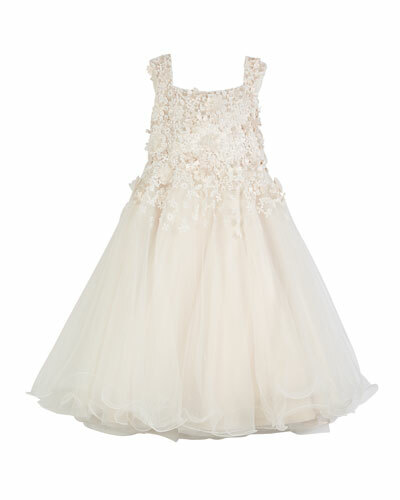 Looking to dress up your little one for a wedding celebration? Select from our princess ball gowns. 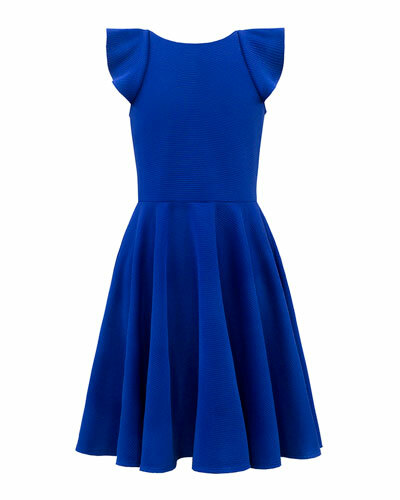 To add a feminine flair to her ensemble, go for our fit and flare or sheath dresses. 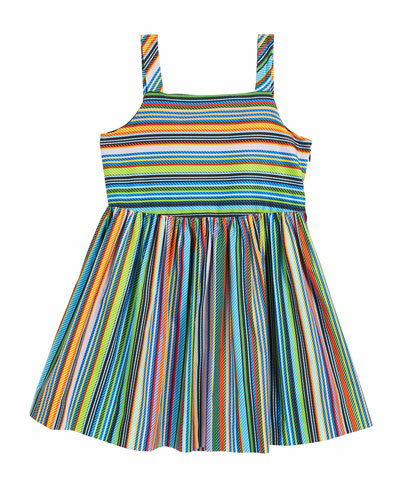 Also browse our girls’ smocked and jersey dresses in bright hues. From florals and stripes to geometric patterns and polka dots, discover an amazing variety in our designer collection. 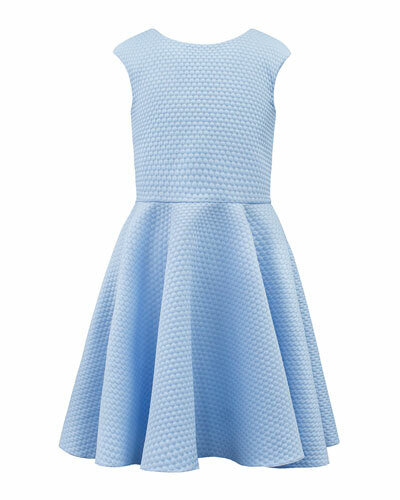 Our luxury dresses for girls are chic and sophisticated, making them ideal for all occasions. 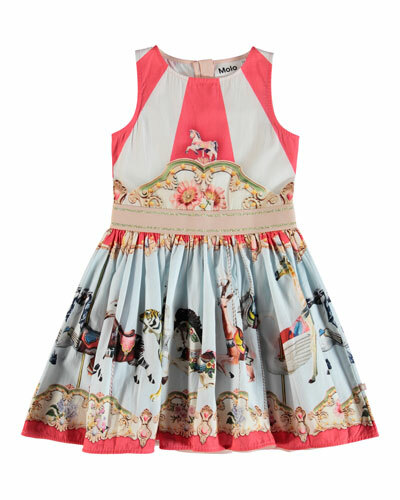 Shop Neiman Marcus for designer girls’ dresses by leading fashion brands whether it’s for formal or everyday wear. 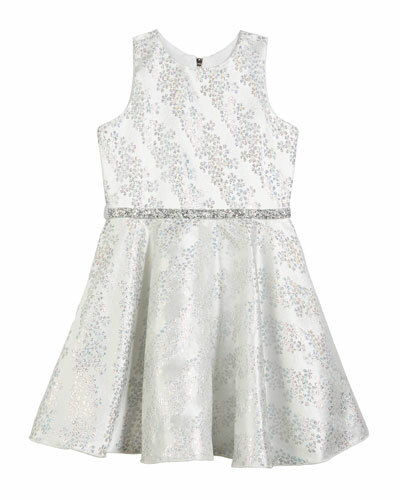 Helena organza dress in white rose jacquard. Crew neckline; hidden zip back. Sleeveless; wide straps. Self-tie back detail. Box pleats at waist. A-line silhouette. Polyester/nylon. Made in the USA of imported materials. 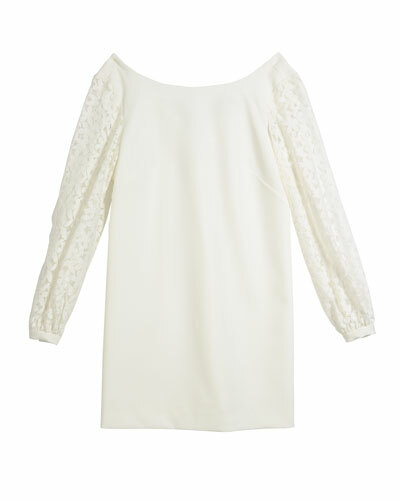 Milly Minis cotton dress with allover daisy embroidery. 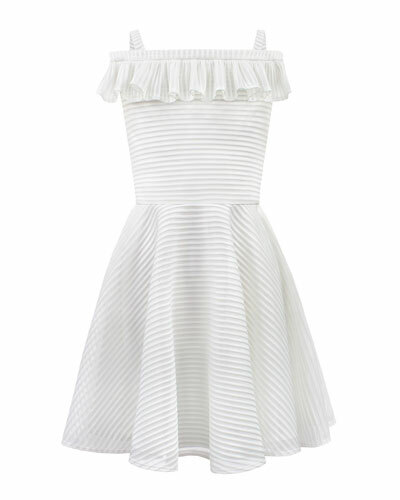 Ruffle trim through princess seams creates fluted sleeves. Crew neckline; hidden back zip. A-line silhouette. Made in the USA of imported materials. 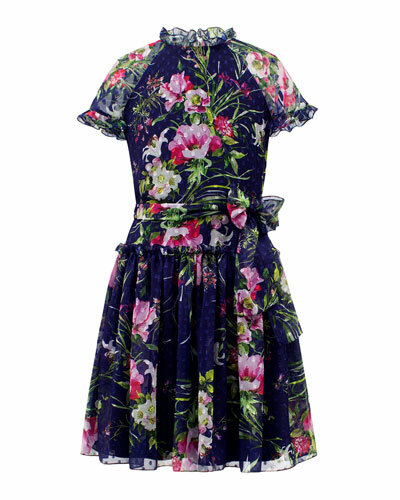 Milly Minis tank dress in hibiscus print. Scoop neckline; racerback. Spaghetti straps with tie detail. Keyhole-button back; hidden zip. Pleated waist. A-line silhouette. Cotton/spandex. Made in the USA of Italian materials.